If there is a possibility of power going out, you should try to prepare for the period when you will not have electricity, and obtain food supplies that can endure such emergencies. Choose foods wisely: since you won’t have a fridge or freezer to keep them cool, perishables should be avoided. To prepare for such situations, you can buy easy-to-store foods. If there is a natural phenomenon threatening your city, or it’s just that power outages are common in your area, you should be prepared to do without all mod cons which often become unavailable in such situations. Here are the tips which you can follow to be on the safe side. Regardless of where you live and how often emergencies occur in your region, always store several bottles of water somewhere where it would be easy to reach them. Don’t forget to replenish supplies if some of the bottles have been used or if they were filled with tap water a long time ago. Sealed bottled water can be stored for years, whereas tap water that you filled the bottles with may be teeming with bacteria if you fail to change it from time to time. 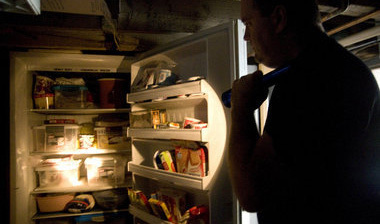 Canned food is just the right option to prepare for a power outage. Opt for lentils, fish, chickpeas, beans and other nutritious and healthy foods which can be found in cans. There is a wide range of goods available on the market, so you can choose something to your liking. If you know when the outage is expected to occur, you can freeze meat, leftovers and other perishables beforehand. This way, when the electricity goes out, you will have frozen foods that will thaw slowly – perhaps, it will be enough to keep these foods fresh until the problem resolves. It is also recommended to freeze water in containers so as to use them to cool foods and frozen items. Remember that food remains safe to eat if left without a functional fridge for a maximum of 4 hours. If the outage is an expected one, make sure you buy all ingredients to cook without electricity. If you have canned beans, you will probably like to add some tortillas. Try to pick foods that are stored on shelves, not fridges, as they can sit in your cupboard for a long time. Keep in mind that some foods can be stored for months when sealed but perish soon once opened. Among such foods and drinks are plant milks – they can be a substitute for milk when there is no access to dairy milk (if you need it). 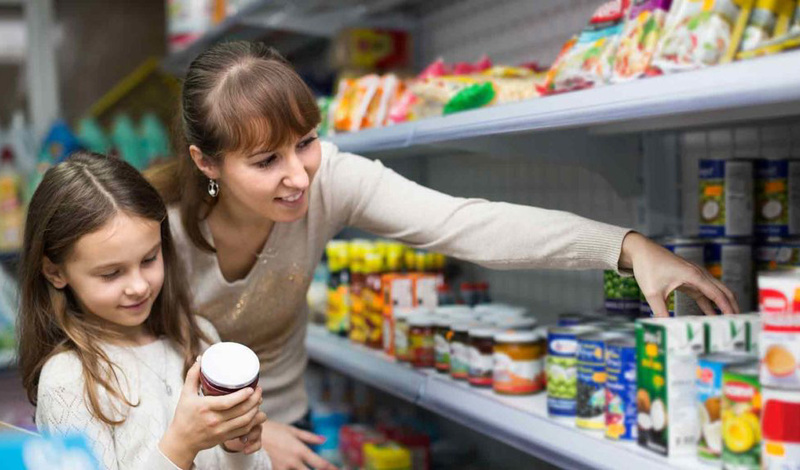 Also, you can opt for cereals, snack bars, crackers and virtually everything that has a ‘ready to eat’ label – when there is an emergency situation, healthy foods may be unavailable, and easy-to-store options are preferred for the sake of safety. OK, now that you’ve bought plenty of cans, you need some tool to open them. If you use an electric opener, purchase an alternative tool that does not require electricity. If you have a gas-powered stove, do not forget to buy a long-reach lighter. A thermos may also prove to be useful: if there is no electricity, you won’t be able to have a cup of coffee as often as you like it, because boiling water using fire is time-consuming. Yes, this skill may also come in handy. Learn to cook in the traditional way and prepare your yard for it. Make sure you have a skillet that can endure such temperatures, charcoal, and perhaps a camp stove. Peanut butter, jams, bread, fresh veggies and fruit, some condiments, and hard cheeses can be stored without a fridge. Some of these foods will last longer if refrigerated, but not having a fridge at the moment does not mean these will perish within a couple of hours. If there is a power outage, you will have to rough it. Basic survival skills are what can help you live through such periods, and preparing for them can turn out to be useful in the long run.